Located only 15 minutes northeast of downtown Los Angeles, Old Pasadena is a premier destination for tourists who love world-class shopping, dining, arts and entertainment. Being at the heart of what can be called a wonderful and interesting adventure, the city is situated at approximately 30 minutes away from the three major airports, having a convenient access to Hollywood, the beaches and Disneyland. It is also a place full of architectural accents, in fact there are few urban areas which are definitely charming and full of history. Tree-lined sidewalks can be strolled, in order to let the people explore quaint alley walkaways, as well as discover all the treasures around the place. 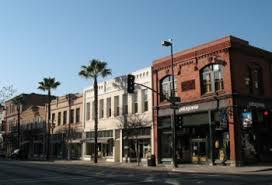 Old Pasadena, in fact, has quaint alleyways, rustic brick facades and historical architectural accents, being one of the examples of successful downtown revitalization. That’s also why there is always something that goes on there, and there is no way tourists can get bored. For the shopping lovers, the city has one of the premier shopping districts in the entire country, as well as more than 200 boutiques and exclusive national retailers, which are concentrated within walking distance. The place can also be reached by train, simply by catching the Metro Gold Line which connects Downtown Los Angeles with Pasadena. The Metro rail system operated from 4 am until 12 am daily, so you can easily manage your trip according to your schedule. If you prefer going there by car, then, keep in mind that there are more than 7,500 parking spaces in both public and private surfaces, so you will easily find where to park your own. What a great chance to explore a new place while you are in California, even if for just a couple of hours. It is definitely better than nothing, right? Enjoy Old Pasadena while having fun.